AxcessAbles SF-101 Recording Studio Microphone Isolation Shield Redirects the Internal Sound Energy Away from the Microphone for the best quality recording. The SF-101 gets maximum sound isolation by blocking reflected sounds from the recording environment to the microphone. 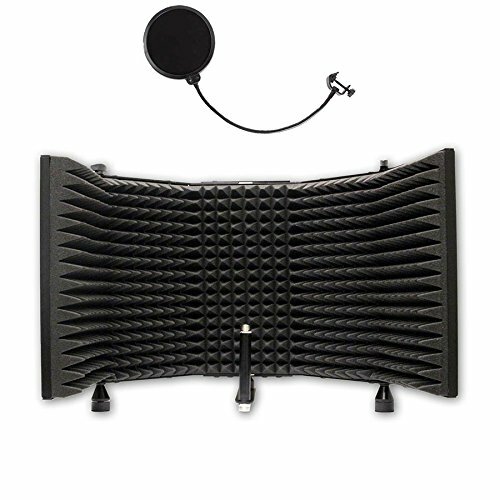 Easily mounts to most heavy speaker stands and has flexibility to adjust the microphone proximity. AxcessAbles SF-101 comes with Isolation shield and windpop only. Also available for sales AxcessAbles SF-101Kit comes with Isolation shield, and proper stand for mounting. If you have any questions about this product by AXA AXCESSABLES, contact us by completing and submitting the form below. If you are looking for a specif part number, please include it with your message.